Back in 2013 both Oscar & Hooch and Medical Detection Dogs (MDD) were on a journey, a new UK pet brand and a charity that was expanding quickly (over 600 volunteers today). Oscar & Hooch founder Paul Steckler wanted to give something back from day one and with his background in pharmaceuticals, Medical Detection Dogs was the perfect fit. Medical Detection Dogs not only deliver hope through advancement in disease detection but also provide support to people who have life threatening conditions, their assistance dogs are family members and a very important lifeline. Oscar & Hooch agreed to make a design that accentuated the MDD colours and so the black & red range was born. 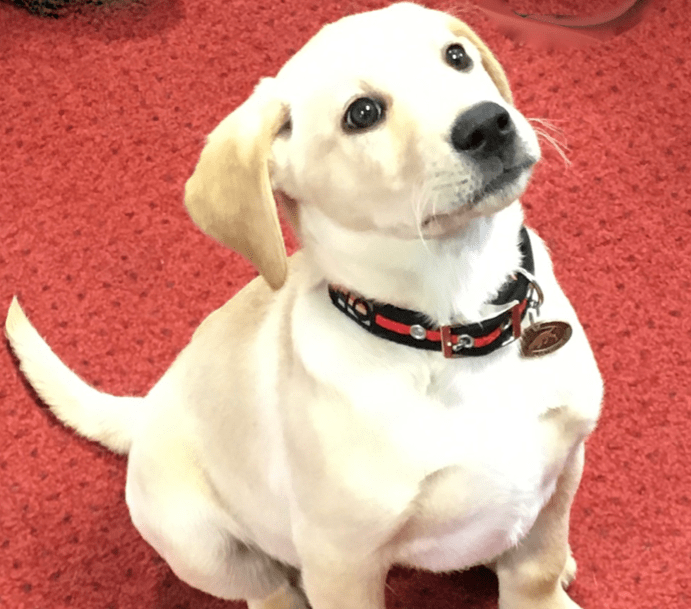 Once assistance dogs complete their training they are provided with a collar & lead set in black & red. As well as providing accessories to MDD, Oscar & Hooch make an annual donation to this very worthwhile cause. Now in the sixth year of partnership both have great ambitions. Medical Detection Dogs trains dogs to detect the odour of human disease. It is at the forefront of the research into the fight against disease and helping people with life-threatening conditions. Our Bio-Detection Dogs are trained to find the odour of diseases, such as cancer, in samples such as urine, breath and swabs. Our Medical Alert Assistance Dogs are trained to detect minute changes in an individual’s personal odour triggered by their condition and alert them to an impending medical event. We receive no government funding for the work we do and rely entirely on the generosity of donations from trusts and the public.